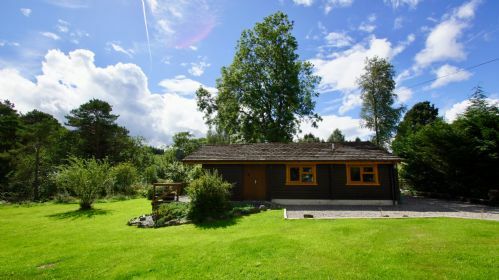 Sitting close to the banks of the River Dochart, leading to the famous Falls of Dochart Killin, Millmore log cabin offers you the peace and harmony of a rural Perthshire village. 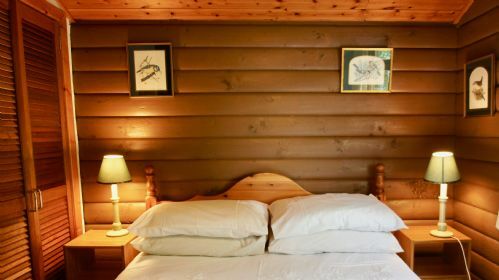 There is off-street parking available beside the cabin and once inside the property is all on one level. 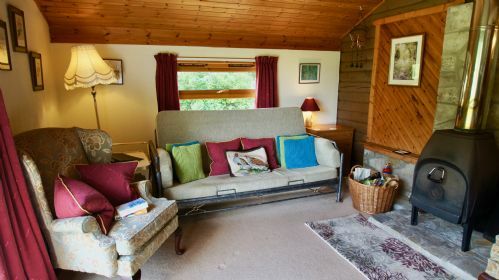 Just outside you can enjoy the garden with views of the river from the window. 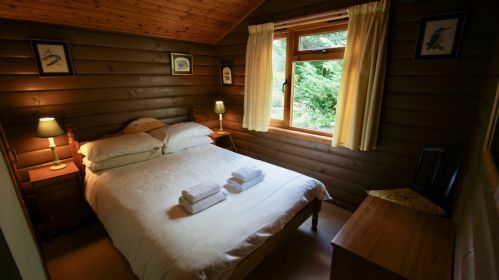 The property sleeps 4/5 with a double room and a bunk bedroom with double below and single above. 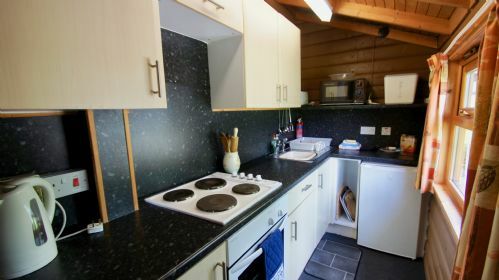 There is a kitchen with a separate dining room and a lounge with woodburning stove for cosy winter nights, or a warm after a day out walking on the hills nearby. A short walk into the friendly village of Killin where you will find a host of bars, restaurants and a small supermarket. 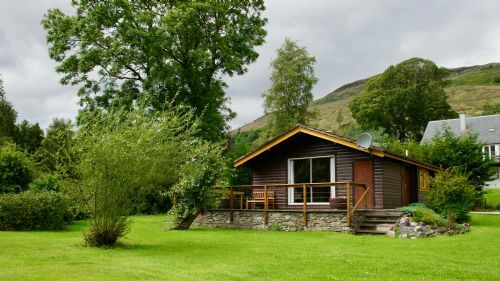 Easy access to walking, fishing and cycling and a good base for touring Highland Perthshire. Thank you. We're glad to hear you enjoyed your stay. It is a picturesque spot. We look forward to your next visit. 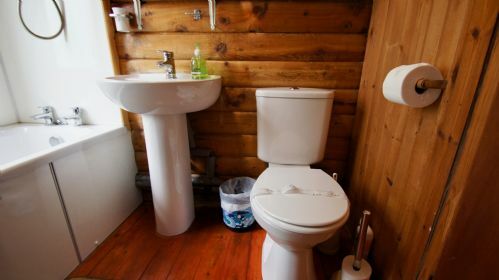 Very cute log cabin in an amazing area with the waterfall sound and views. Really friendly and welcoming host. Thank you for your review. 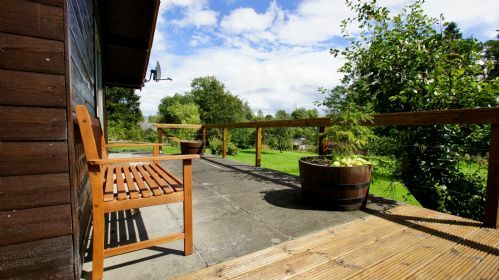 We're glad you enjoyed Millmore log cabin and the Falls of Dochart at the end of the garden. Compact, well equipped, beside the river, with red squirrels seen in the garden, and many birds, though the bars were hibernating! Thanks for your review. We're glad you found Millmore well equipped and managed to spot some of the local wildlife. My partner and I spent 4 nights in Millmore this January and had a lovely time! When we arrived, Jan was very welcoming, and left plenty of tea, coffee, milk and shortbread to last us our stay. The cabin is cozy and plenty of logs provided for the wood fire, and there was plenty of hot water throught the day. A really useful information pack about good walks, local places to eat and visit, and other local things to do were included and we referred to it a lot during our visit. Even though it was January and a lot of places were closed, a few small local businesses were open and were great places to visit and eat. Killin is a lovely, friendly village with some lovely walks around. On our first day, we saw red squirrels, deer and so many birds of prey. The landscape is stunning and all in all it was a lovely place to spend the week. I would thoroughly reccomed staying here, and we will definitely return again! 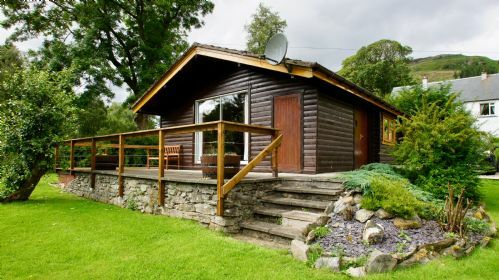 This is a lovely log cabin in the grounds of the owners' mature garden overlooking the Falls of Dochart. 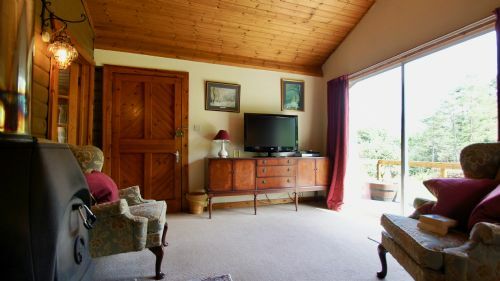 The view from the patio doors in the main living room is fantastic. We had a lovely welcome from Jan and Mike who showed us the features of the cabin and then left us to it. 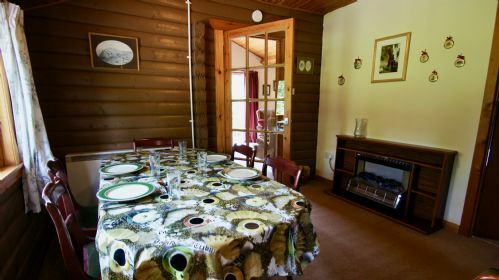 The cabin had everything we needed for a week's stay and was very warm and cosy. 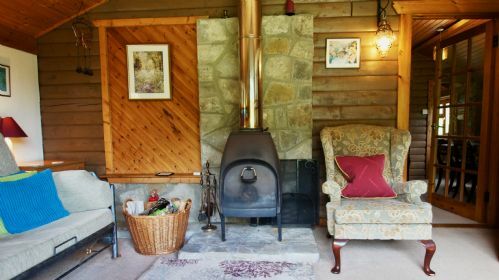 The log burner in the living room was a nice touch, as was the welcome "pack" of wine, chocolates, shortbread and milk! We even had a visit from the free range chickens on day 2! 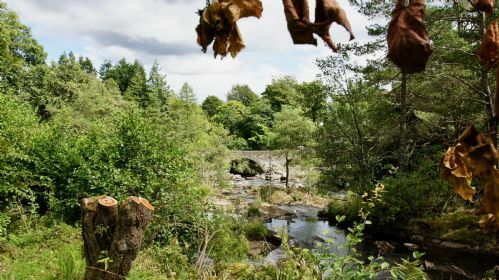 There are many pleasant walks in and around Killin, which in itself is very well placed for venturing further afield. We would be very happy to stay there again. Many thanks for your review. 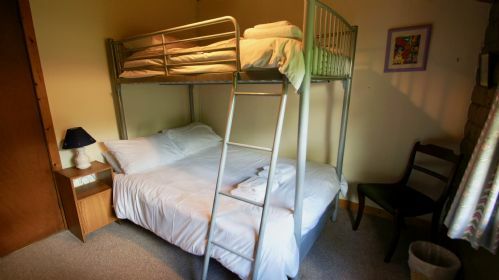 We're glad to hear that you enjoyed your stay at Millmore in Killin and hope to see you back again in the future.